Justine, whose husband Paul is a Vietnam Army veteran, has been an active clubwoman for 17 years. If there’s a club office, she’s held it. Justine began a project to compile a list of GFWC military women in her region to include at the ceremony. It was the latest project for a woman that has been actively involved in public affairs, especially military veterans’ issues for several years, letting vets know about events and opportunities, and how they can obtain help if they need it. What prompted you to create the list of GFWC clubwomen who served in the military? I found out that our state Vietnam Veterans of America was going to have a memorial ceremony to honor military nurses, and I thought there must be military nurses in GFWC, and they should be aware of this. As I talked to presidents and public issues chairmen in the Middle Atlantic Region, I started to get names of women who had been in the military, their rank, their duties and their tours. I discovered women who served in World War II, Korea, and Vietnam. The ones who had email, I emailed. The ones who didn’t, I wrote letters or called them personally. 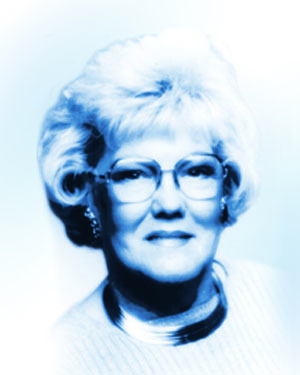 One particular woman, Barbara Christiansen (GFWC Women’s Club of River’s Edge, New Jersey), was so fascinating. 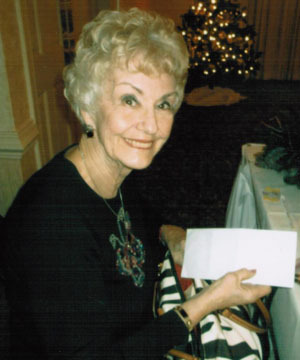 She is 90-something years old, still active in GFWC, and she was in service of U.S. Marines in World War II. She told me how she got into the service, and she thanked me and said that talking about her service was the best therapy she’d had in years. What about the conversations with these women who served surprised you? What really surprised me was the fact they received so little recognition. You hear of the Tuskegee Airmen, you hear of the people on submarines, you hear of the codebreakers, you hear “soldiers, soldiers, soldiers,” but you never hear enough about our women who were in the military. They were really impressed that VVoA were going to do a whole ceremony in honor of them. It meant a lot to them. Now that my children are raised and I am retired, I still want to do something for my community. How did this list that you created tie into the VVoA celebration ceremony? I invited the women I spoke with to come. Four women who work at Dover Air Force Base were able to attend. There were two others that wanted to come, but weren’t able to make it. The four that did attend were called up front, their pictures were taken, and they were featured in the local news. It was a big deal to them. Our speaker that day was a nurse who served in Vietnam, who is still teaching locally. You took a lead role in putting together this list. How has belonging to GFWC enhanced your leadership skills? It has taught me that information is out there–all you have to do is take the initiative and find it. Any project you’re interested in, contact your club! You get great support from GFWC. I would urge any woman to join. There really is something for everyone. I was invited by my cousin Ann and friend Edie who were already members. I joined the club in Felton, Delaware, because of the women there. I’ve been a member for 17 years. What was it about GFWC that made you want to join? I wanted to become involved with other women in helping my community. And I knew from my cousin and friend just how much they were doing, especially for education. Now that my children are raised and I am retired, I still want to do something for my community. 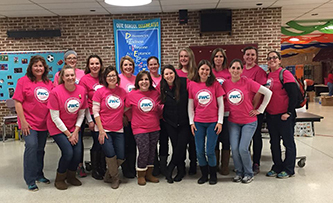 When Robbin Zirkle moved back to the area after grad school, she addressed the challenge many people face as adults—making new friends— by joining the Junior Woman’s Club of State College (Pennsylvania). GFWC provided her a place to connect with like-minded women who shared her passion for community service.